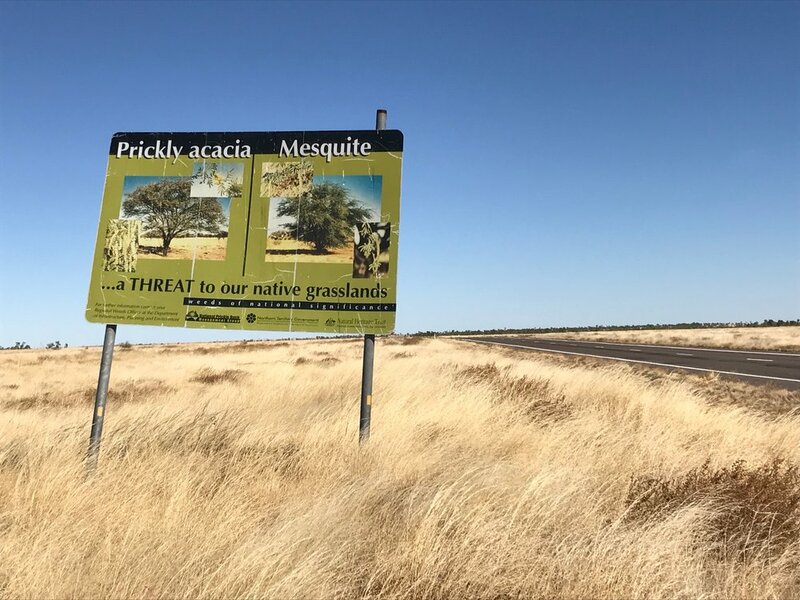 This project contributes to multiple strategies in the Barkly Regional Natural Resource Management Plan and includes a Feathertop Grass fire trial at Newcastle Waters, a riparian fencing demonstration site at Lake Nash and collaborative weed control on Tennant Creek Station and Epenarra Station. Supported by TNRM with funding from the National Landcare Programme. Working with Brunette Downs and Rockhampton Downs stations this project is focussed on controlling high priority eradicable weeds. Supported by TNRM with funding from the National Landcare Programme. The best QLD and NT grazing scientists presented their current grazing research to a group of pastoralists and other related people. Supported by the Australian Government Sustainable Agriculture Small Grants. Completed in the first half of 2016 on Helen Springs, Banka Banka East and Brunchilly Stations. We put weed information collected from the managers heads, from driving around (and flying over the properties) onto maps. Weed treatment was completed by a contractor and we recorded all of this with Cybertracker and PDF maps. We made simplified Weed Management Plans for future work. This project was supported by TNRM through funding from the National Landcare Programme. The Beetaloo Intensive Rotational Grazing Pilot was a joint project between Barkly Landcare & Conservation Association, the Dunnicliff and Armstrong families of Beetaloo Station, the NT Department of Primary Industry and Fisheries, Desert Wildlife Services and the Australian Department of Agriculture and Water Resources. The project sparked the interest of pastoralists across Australia and we thank the Dunnicliff and Armstrong families of Beetaloo for being open to share the trial results with such a wide audience. It aimed to determine whether implementing an intensive rotational grazing system in Mitchell Grass Downs pastoral country could result in increased production and profitability, and also improve land condition and biodiversity outcomes. The field day held on 23 May 2016 was a success with 68 people from 5 states and territories in attendance. Attendees represented over 11,000,000 hectares of pastoral land, mostly from the Barkly Tablelands and Victoria River Districts of the NT. There are two reports available for download (Beetaloo Biodiversity Assessment and Beetaloo Grazing Trial Phase 2). The DPIR Technical report will be ready in 2017.